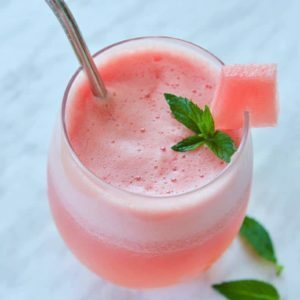 Make this easy Watermelon Kombucha Shake for those days when you just need something refreshing! 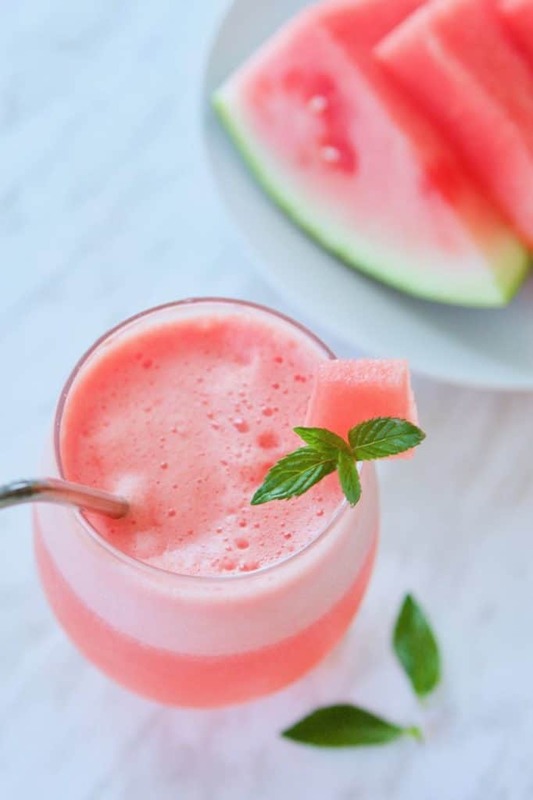 Watermelon is such a refreshing treat on those hot summer days, add some cold kombucha and you’ve got yourself a refreshing probiotic shake. And, shhh, this is another way I can get my littlest one to drink some kombucha! Yay! Kombucha is fermented tea that acts as an adaptogenic tonic to bring your body back into balance. 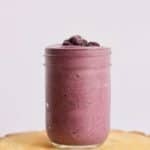 It has been known to reduce inflammation and help with gut-related issues as it is a probiotic drink. Want to learn how to make your own kombucha? Read the Kombucha Brewing Guide I wrote for the Academy of Culinary Nutrition. 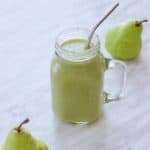 Add 1 cup of cold plain or ginger kombucha into your blender container. Add 2 cups of chopped watermelon. Garnish with some mint leaves if you’d like. 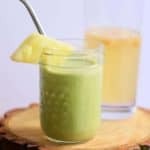 Serve cold and enjoy this refreshing probiotic drink! Like this recipe? Please leave a comment or rating below! 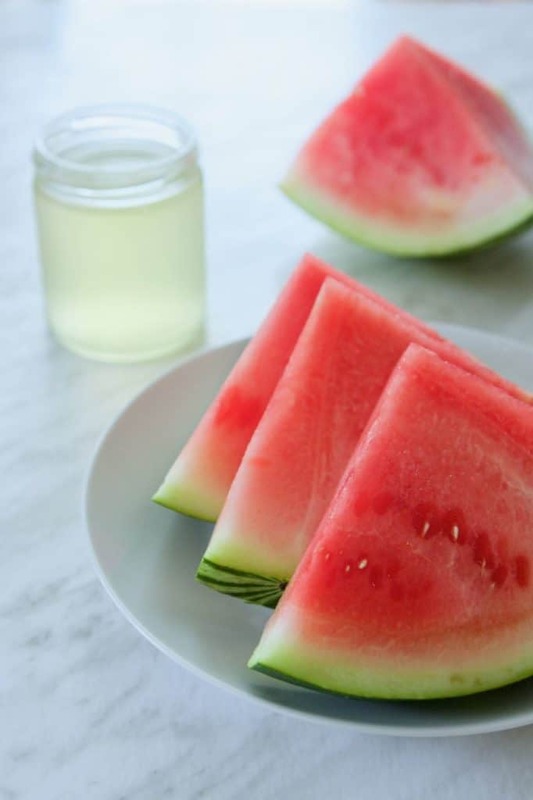 Enjoy this refreshing probiotic drink made with watermelon and kombucha! 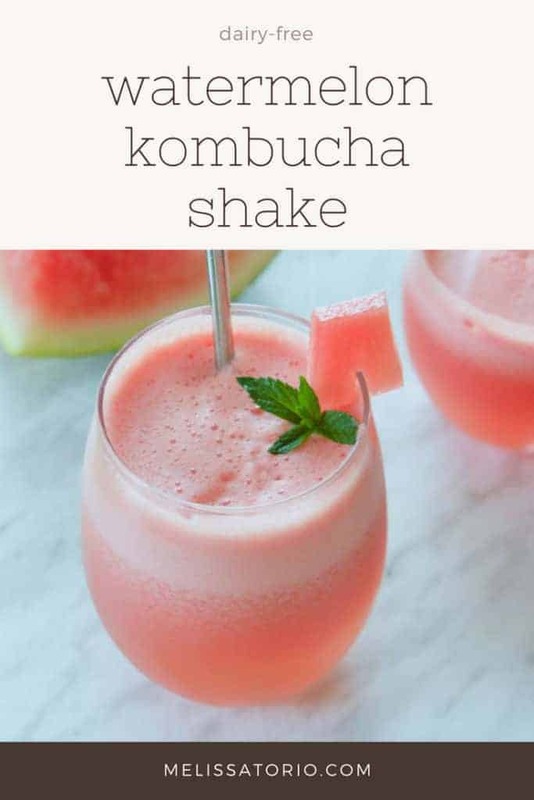 Add kombucha and watermelon to your blender container. Add mint leaves as garnish. “Watermelon.” The World’s Healthiest Foods, www.whfoods.org/genpage.php?tname=foodspice&dbid=31. Oh my goodness I can’t wait to make this at home. It looks so delicious! 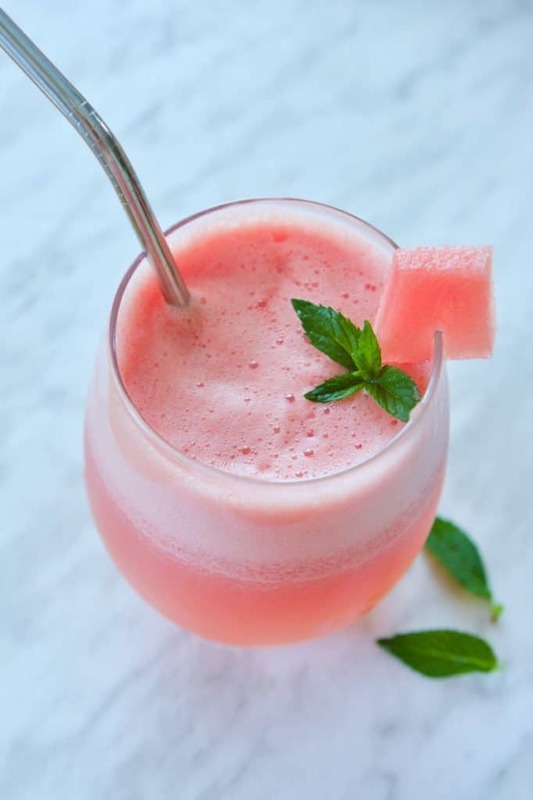 The color of the drink mixed with the little watermelon wedge is perfect. Thank you so much for sharing!